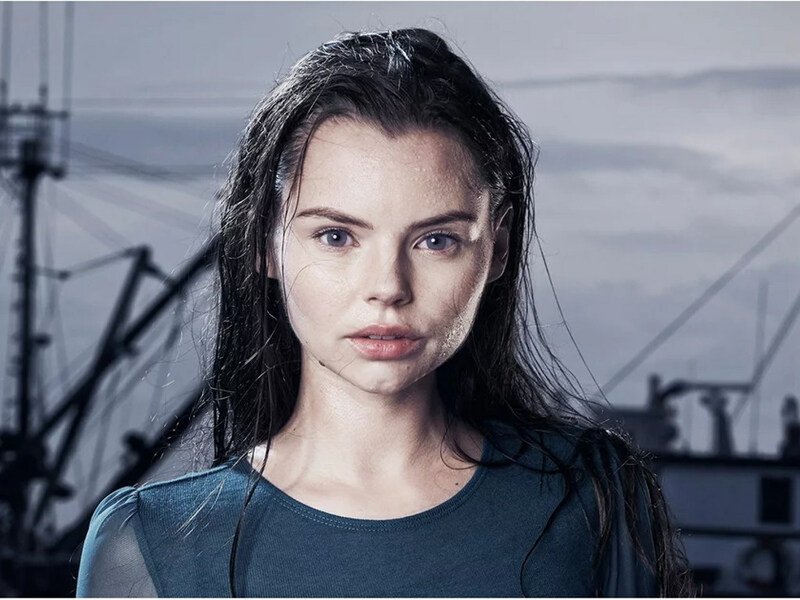 Home / cinema online / eline powell / feature / interview / siren / Interview: Eline Powell delivers the call of the "Siren"
Interview: Eline Powell delivers the call of the "Siren"
This isn't your typical "The Little Mermaid' story. Long ago sailors of past have spoken of urban legends surrounding the sinister people from the depths of the sea, known to them as sirens. The murderous creatures lure unsuspecting humans with their attractiveness to the waters and then kill them. That forms the basis of the American horror series "Siren", which follows a mysterious mermaid woman named, Ryn (Eline Powell) who sprouts legs and walks amongst humans in the quiet fishing town of Bristol Cove, somewhere in Washington. Two marine biologists, Ben (Alex Roe) and Maddie (Fola Evans-Akingbola), stumble upon Ryn, who they realise is on land to look for her kidnapped sister Donna (Sibongile Mlambo). However, things don't really go as plan, when Ryn and Donna find themselves at odds, causing an eventual deadly rift between humans and mermaids. Now in its second season, we got to speak with 28-year-old Belgian beauty Eline Powell herself to find out what's in store for the siren that's definitely no singing Ariel. "Siren" season 2 premiered on Sunday, 27 January 2019 on Blue Ant Entertainment (unifi TV channel 473). Cinema Online: What first drew you into starring in "Siren"? Eline: I was very excited with the way they represent mermaids. In the past, we have seen mermaids as more romantic-singing creatures, our mermaids are more predatory with a ferocious side to them. They are also quite emotional and vulnerable, contrary to the more popular way they are portrayed. What's in store for Ryn and the gang in season 2 of "Siren"? What can you tell us about your character, Ryn's, changes or developments (if there's any) in season 2? Ryn will grow much on her human side, but she will it much more challenging to balance being a mermaid and human. More mermaids are coming in season 2 and they need to rely on Ryn to lead them. Can you elaborate more on getting into your Siren form? Was there a lot of prosthetic make up and special effects used to achieve your look? In the very first episode in season 1, we did everything very practically. So there was 2 hours of prosthetics, we had, gills, body and a face to achieve. By the time i got into the water I was a bit tired, but it did look amazing. It was so much work. For the rest of the episodes, we had a body suit put on, along with a mono fin, then it was all edited in CGI. Now it takes me only half an hour to put it all on. Did you have to undertake any swimming training to portray a mermaid more organically? Yes. I loved it. The thing about "Siren" is the amount of underwater swimming we have to do. I absolutely love free diving and scuba diving. The more you train the better you get at something. My favourite days on set are when we get to do the underwater scenes. So, what did you differently in preparation for season 2? Was there any more additional training? Good question. There's a funny thing that always makes me laugh. In season two, as Ryn is trying to be more human, she learns how to drive. In real life though, I don't have a driver's license! So of course, for insurance purposes, I had to learn driving to get my license!